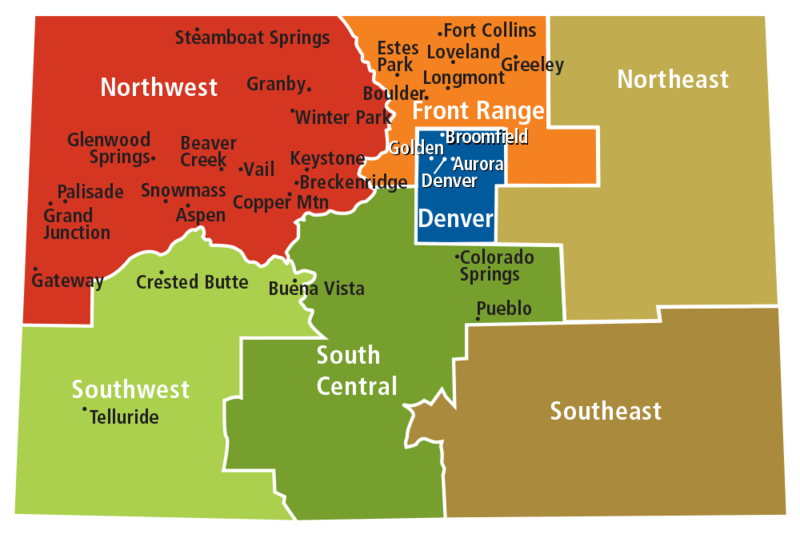 Discover all of the regions in Colorado to help you narrow down your choices when planning a destination business meeting, event or a social group gathering like weddings, reunions and retreats. Destination Colorado represents the hotels, venues and conference centers all across the state. Select a region below to learn more.